Having served over 16 years in Cabinet, the longest service in Northwest Territories history, the multi-award winning Honourable Stephen Kakfwi has been on the leading edge of several developments in Northern Canada including great political, environmental, economic and cultural changes over the past few years. 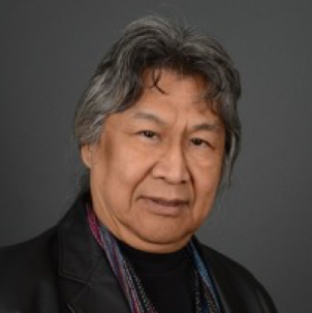 Formerly the Premier of Northwest Territories and President of Dene Nation, Kakfwi has extensive experience and knowledge of the issues surrounding Canada’s North and has organized groups of activists to challenge these issues such as the development of the pipeline across Indigenous land. His work on advocating for the protection of the land and Indigenous rights with the Mackenzie Valley natural gas pipeline built a framework for how future projects in Canada are regulated. During his term, he established and guided conversations on claims negotiations and Indigenous rights by founding Indigenous Survival International (ISI), to be promoted nationally, as well as established the Western Arctic Leadership Program where young Indigenous students are encouraged to pursue leadership roles. He also organized the renowned visit to Fort Simpson, Northwest Territories by Pope John Paul II in 1984, where apologies were given for the church’s role in the treatment of Indigenous peoples in Canada. Previously, Kakfwi has served as the Minister of Education, Housing, Justice, Personnel, Safety and Public Services, Aboriginal Rights and Constitutional Development, Resources, Wildlife and Economic Development, as well as the first Premier of the new Northwest Territories. He currently serves as an advisor to the World Wildlife Foundation Canada and as a member of the Board for Vision Television.